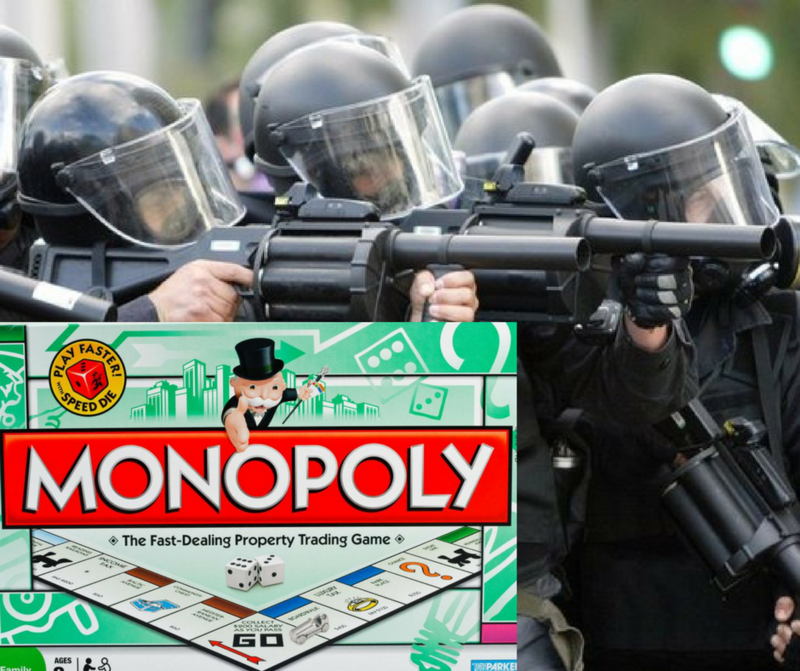 Armoured policemen have entered the home of Colin Macpherson, Inverness to put an end to a bitter game of Monopoly that has been raging for two weeks. Although the game began cordially over port and cheese it quickly descended into a web of deceit and violence that would have made Game of Thrones look like My Little Pony. “I thought things would peter out after Uncle Iain died on day four but it only served to stiffen our resolve” said Colin’s niece. “I traded my car, both of my husband’s kidneys and 14 packets of Ferrero Rocher for a get out of jail free card and I’d do it again” said Auntie Susan still clutching a carving knife. This is the worst board game related incident since an out of control game of Kerplunk resulted in the building of Fort William High Street in 1972.